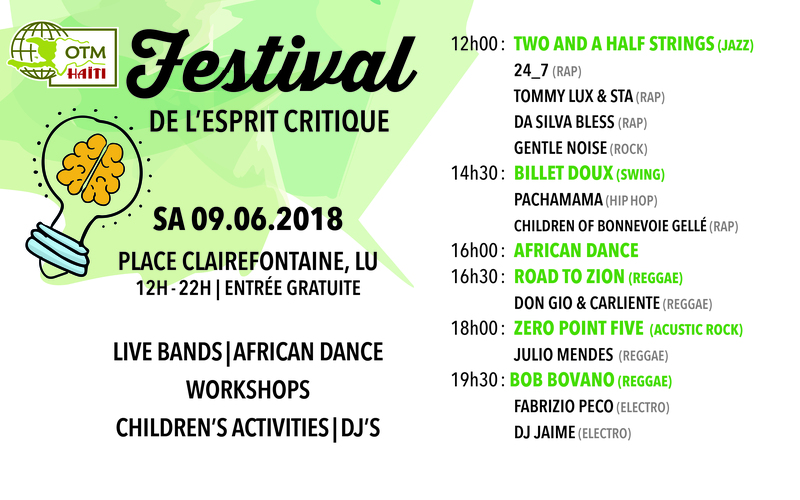 OTM Haïti invites you to a fes­ti­val of sus­tain­abil­ity on the 9th of June in Lux­em­burg city. It’s a free fes­ti­val, full of groovy music, excit­ing work­shops, deli­cious food, friendly peo­ple and lot’s of bright danc­ing spirit! You can come for lunch to our african and vegan foodtrucks. Then you can dis­cover the fas­ci­nat­ing work­shops for chil­dren and adults and you can lis­ten and dance to won­der­ful music.